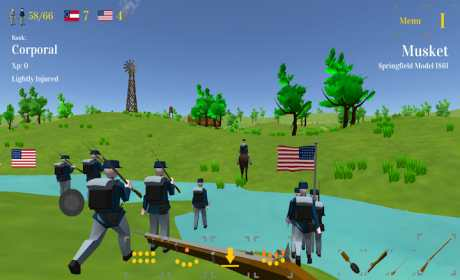 Fight on the vast battlefields in a strategic FPS set in Vicksburg and its fortifications. Command infantry & cavalry to follow, stay or charge. 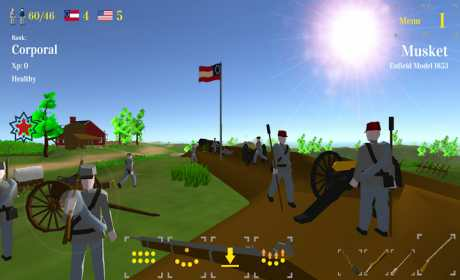 Operate cannons & artillery, or give orders to the crews. Improve the forts and defenses, or build new to protect your soldiers. Make strategic battlefield decisions to outflank the enemy. 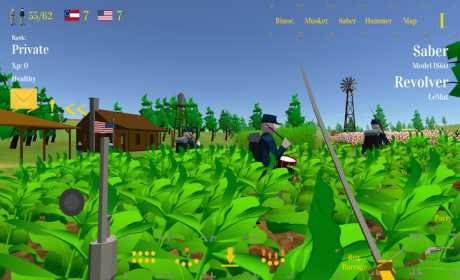 Experience the American Civil War in an original hybrid of first person shooter and strategy game! Offline game, no internet required.